The first reason to listen this song is Brenmar. The New York via Chicago producer has long been a favorite in the electronic scene, and this is one of the first of (hopefully) many ventures into working with vocalists. His talents on the dancefloor are often derived from his vocal-sampling abilities, and hearing him step into genres like hip-hop to work with rappers is exciting because he definitely has as much an ear for lyrics and hooks as he does for percussion and basslines. This beat is a crazy, genre-bending one, and he could not have picked a more interesting collaborator for this track than Mykki Blanco. 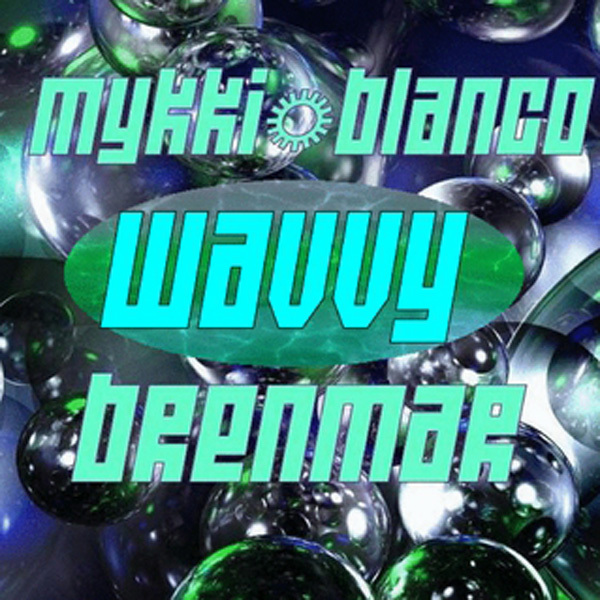 Blanco is the female side of the multi-gendered Michael David Quattlebaum Jr. She’s a 24 year-old model, actor, poet and general all-purpose artist, but “Wavvy” is a showcase of straight, aggressive rapping. Paired with the constantly progressive Brenmar instrumental, it turns out to be a potent pairing and probably the coolest rap track you’re going to hear today. This is set to be on the tracklist for Blanco’s upcoming Cosmic Angel mixtape, which will feature production from equally forward-thinking producers like Nguzunguzu, Teengirl Fantasy and Adeptus. For more information on Blanco, Interview magazine ran an interesting piece on her that’s well worth a read.